See more objects with the tag study, antiquity, royalty, designers, luxury, fantasy, birds, scrolls, seating, aristocratic, experimentation, imaginative, hooves, feet, chairs, goats, klismos. See more objects with the color darkgrey peru sienna grey or see all the colors for this object. This is a Drawing. It is dated 1790 and we acquired it in 1921. Its medium is brush and watercolor, pen and black ink, graphite on white laid paper. It is a part of the Drawings, Prints, and Graphic Design department. 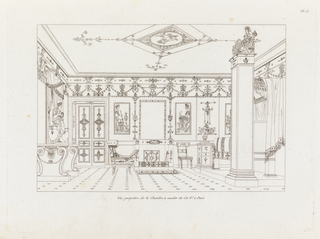 This neatly colored drawing was likely made to present a client with a variety of options for chair designs. 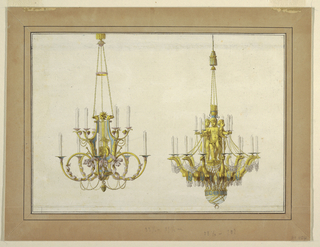 Traditionally, when a designer received a commission for a piece of furniture, they would begin with a quick sketch, which would be developed into a more detailed study and finally, a tidy presentation drawing. 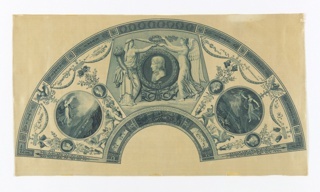 Like many artists, Jean-Démosthène Dugourc kept an album of his work to show prospective patrons. 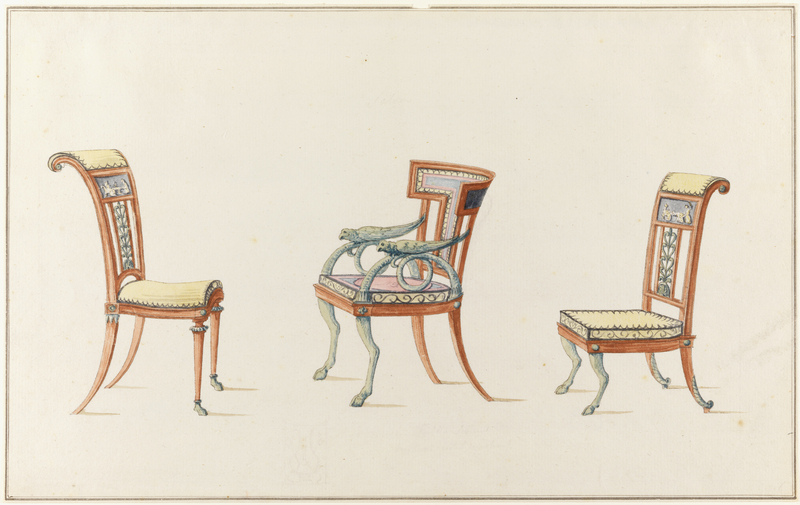 The illustrative format of three chairs grouped in differing profiles on a creamy white ground was typical of contemporary English pattern books. In the late eighteenth century, Anglomania was widespread among the wealthy in France. 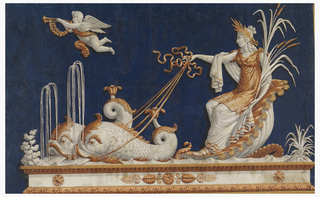 Many French designers were influenced by their English counterparts working in the new “Etruscan” style. 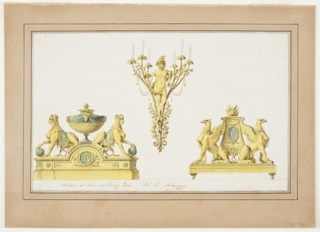 This decorative repertoire of classicizing ornament was inspired by antiquities being rediscovered on Italian peninsula.The parrot armchair in the presentation drawing appears to have elements made of verde antique, bronze contrived to look old by the application of a green patina. 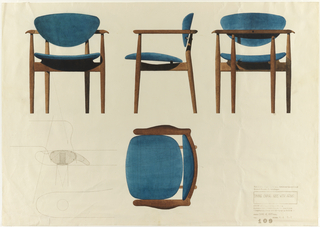 However, an extant chair made after Dugourc’s design by the carpenter George Jacob is made of painted mahogany.